The San Diego Chargers took a step forward last year and made the playoffs for the first time since 2009 under new coach Mike McCoy. Largely due to Ken Whisenhunt's new offensive system reinvigorating the Chargers offense and reviving Philip Rivers’ career. The Chargers’ success lead to top ten seasons from both Rivers and running back Ryan Mathews, who completed his first full season as the team’s feature back, and the emergence of Keenan Allen as a top 20 receiver. 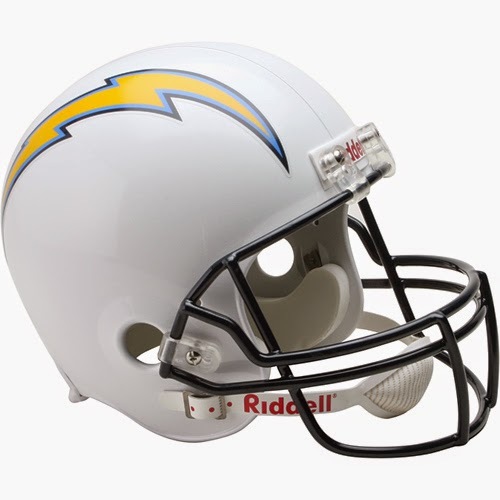 The Chargers enter the 2014 season as a solid team in the AFC West even without their offensive coordinator, who accepted a head coaching job with the Tennessee Titans, largely because of the projected production of their offense. Rivers returned to form in 2013 after a disappointing 2012. Under Mike McCoy and Ken Whisenhunt he amassed 276 points making him the 6th ranked quarterback while trailing Andrew Luck and the 4th spot by only 3 points. Though Ken Whisenhunt,the man largely responsible for Rivers’ resurgence, moved on to the Titans this year, Rivers is still a startable fantasy quarterback in deeper leagues and a steal as a backup. With the emergence of Keenan Allen,Antonio Gates, and Malcom Floyd, and the potential of Ladarius Green, Rivers could be in for another solid year. Rivers showed signs of continuing last seasons resurgence going 15/18 for 166 yards and a TD .His average draft position in standard ESPN leagues is 100 which means you can get him around the 10th round making him a great value pick. We ranked him 14th in our QB rankings. Mathews was another Chargers player who put it all together last season and payed off for fantasy owners. He stayed healthy enough to play an entire season and was one of the best running backs over the second half of 2013 amassing a career high in yards (1,255). While Mathews surely has the talent it was troubling to see the Chargers sign Donald Brown and add him into the rotation with Danny Woodhead who stole some carries from him last year. Always an injury risk Matthews is a borderline RB1 but more likely a RB2 if he can stay healthy. We ranked him 18th in our RB rankings. Woodhead had value in deeper PPR leagues last year amassing 76 receptions and eight total touchdowns. Outside of those leagues though he was an inconsistent player at best receiving 106 carries in 16 games. With the addition of Donald brown the depth chart is becoming a little bit crowded and Woodhead looks to lose some of his carries to the new back. In PPR leagues he’s a sleeper or by week plug in at best unless Ryan Matthews suffers an injury. We ranked him 33rd in our RB rankings. Allen came onto the scene in his rookie year with the Chargers in a big way. He developed chemistry with Philip Rivers leading all rookie receivers in receptions with 71 while breaking the franchise rookie record for receiving yards with 1,046. Allen remains the biggest threat at receiver this year with a possibility to enhance his role in the offense. Though he is at the bottom of the WR1 tier he was a pretty consistent player last year scoring double digit points in eight out of sixteen games. We ranked him 13th in our WR rankings. Royal enjoyed an amazing first two games of the 2013 season scoring a combined 41 points on 14 targets though after that there wasn’t much to talk about. He only hit double digit fantasy points two more times after those games and was clearly delegated to a number 2 receiver role in the Chargers Offense. He should go undrafted in most leagues but can be a player to keep an eye on if Keenan Allen goes down for any significant amount of time. If Antonio Gates is the safe consistent option at tight end then Green is the flashy upside pick that could replace your starting tight end by years end. Green became more and more involved in the Chargers offense as the season went on last year and his 6’6 240 frame makes him a Julius Thomas-like freak. He could easily sneak his way into the top 15 among his position depending on playing time. If you are thin at tight end he should definitely be on your radar with a late round pick (ADP 144). We ranked him 14th in our TE rankings. Gates has been a premiere name at tight end for years now and even with the potential of Ladarius Green he still remains the top tight end in San Diego. Though he probably won’t sniff a 1,000 yard season, he enjoyed one of his best seasons in the last 4 years in 2013 catching 77 balls for 872 yards. His potential does take a hit from the fact that he isn’t the number one red zone threat for the Chargers anymore, scoring only 4 touchdowns last season. Depending on the emergence of Ladarius Green he can still be a consistent tight end if you need to fill the position late.